As part of riverwalk design, the design collective of Snøhetta, Mayer/Reed and DIALOG planned the open house to learn more about what people want to do and experience at the riverwalk. Project designers and event volunteers were floored by the community’s passionate enthusiasm for the project. 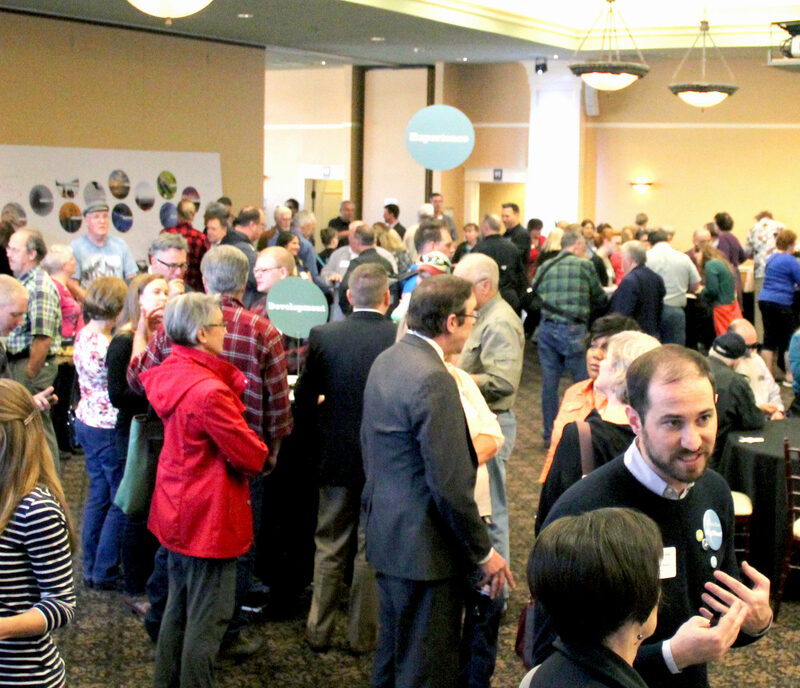 Members of the design collective and project staff spent five hours speaking with the hundreds of interested people who came for the open house, including many residents who live near the project site as well as many who came from miles away to learn more and share their opinions. People who attended the event made their way through the six interactive stations, each focused on a different theme: Learn; Experience; Inspire; Share; Ask the Experts; and Create. I didn’t have a chance to attend the open house – can I still participate? The design collective is now immersed in the process of creating design concepts for the riverwalk based on input received at the open house, physical features of the site, and a deepening understanding of hydrology, habitat, and history of the site and its surroundings. We will be out and about at more events this summer -- stay up to date on our website, facebook and twitter. We are looking forward to seeing you again soon!